Opportunity Neighborhood Reston (RestON) exists to champion community priorities that relate to improving the lives of children, youth and their families, creating brighter futures full of opportunity for every child and youth in Reston. Whether it is in areas of health, or being ready and prepared for school, feeling safe in our home and community, or having a plan for graduation and beyond—Opportunity Neighborhood helps our community identify the priorities and work together toward that change. For current opportunities to support community residents, click here. To reach RestON team members, click here. For volunteer and internship opportunities, please email Toni at toni.francis-bowie@cornerstonesva.org. 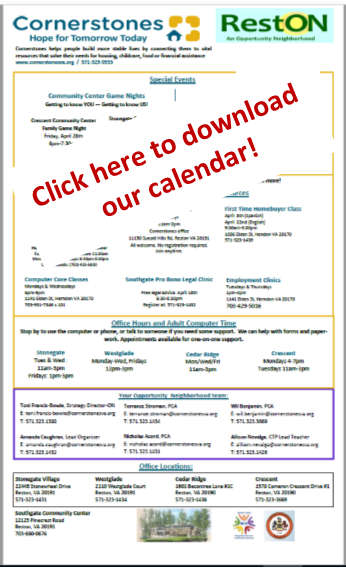 Click on our calendar for these opportunities! 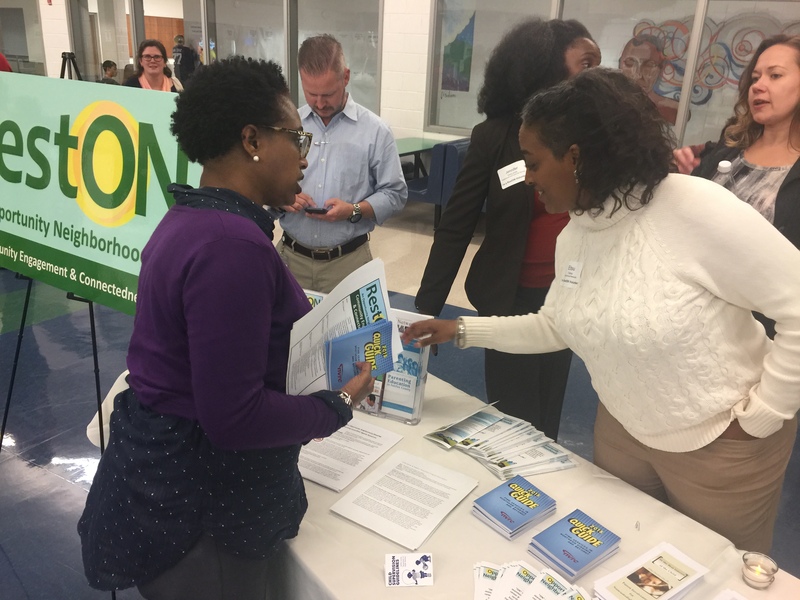 Click here to learn more about Fairfax County’s Opportunity Neighborhood initiative.